By CT Certified Personal Trainer Katie F.! There are many benefits to getting enough sleep at night from healthy brain function to improved physical health. Eight hours is the magic number you should be aiming for each night. Sleep deficiency increases the risk of obesity. Sleep helps your body maintain a healthy balance of hormones that allows you to feel less hungry when you are well- rested. In addition, sleep also plays a role in how your body reacts to insulin. Sleep deficiency can result in a blood sugar level that’s higher than normal which can increase your risk for developing diabetes. There are many health benefits to getting enough sleep but if you are looking to lose weight getting those eight hours each night can be a key component. Many of you may have heard of the new health trend of drinking apple cider vinegar to help you lose weight. Drinking organic apple cider vinegar in 8oz of water (to keep the vinegar from burning your esophagus) in the morning can make you feel fuller which will cause you to eat 200-250 calories less per day. Using apple cider vinegar along with a healthy diet and exercise can help promote additional weight loss. Has your personal trainer in CT talked to you about this stuff? It’s important. Many of you may have jobs where you spend a lot of time sitting at a desk throughout the day. The amount of time you spend sitting plays a huge role in your weight loss journey. During your weight loss journey taking a standing break during work can be important in helping you shed some addition pounds. Standing up during a phone call or a quick walking break can help you burn additional calories throughout the day. In addition, some offices may offer standing desks which can help promote better posture and less strain on one’s eyes. In conclusion while on your weight loss journey and even if you are not looking to lose weight it is very important to take a break from sitting and stand up throughout the day. “Eat breakfast like a king, lunch like a prince, and dinner like a pauper,” was the advice my coach always gave me throughout my career as a college athlete. It is important to eat breakfast within thirty minutes of waking up. Eating breakfast boosts your metabolism that spent many hours slowing down during sleep. When it comes to breakfast getting in a healthy meal is a great start and a great habit to get into every day. Sometimes it is hard to find time during your busy day to take a minute and relax. Stress can often cause you to gain weight. Stress can impact the body in multiple ways. First, when one is stressed out they tend to eat more and in addition, it also raises the hormone called cortisol. Cortisol raises your blood sugar level which causes your fat cells to grow. Take a couple minutes during your day to take a deep breath, meditate or try some yoga. Relaxation can assist in your weight loss journey as well as improve your emotional state. 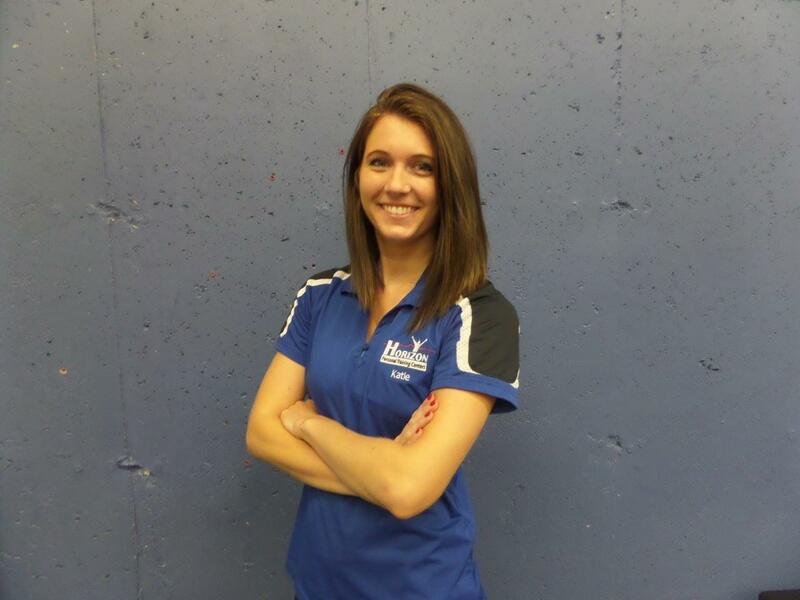 Katie is a leading success coach and personal trainer at Horizon Personal Training in CT and is NASM Certified! To learn more about Katie and our other trainers here at Horizon, please go to www.horizonpersonaltraining.com. No Comments to "Lose Weight with all the Right Techniques! By CT Certified Personal Trainer"